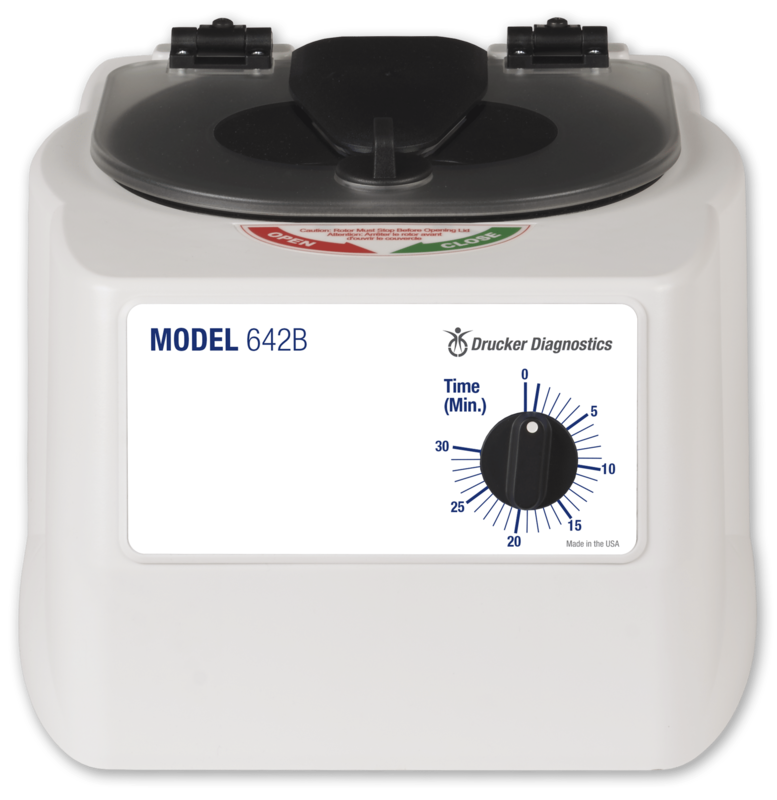 The Model 642B is Drucker Diagnostics’ most affordable horizontal centrifuge. The 642B uses Drucker’s patented horizontal rotor technology, advanced engineering materials, and an advanced cooling system to ensure that high quality sample separations are achieved and maintained throughout sample transport and analysis. How does the Model 642B differ from the 642E? The Model 642B Centrifuge uses a mechanical timer for controlling the cycle time and the lid is non-locking. What should be used to clean and disinfect the Model 642B?